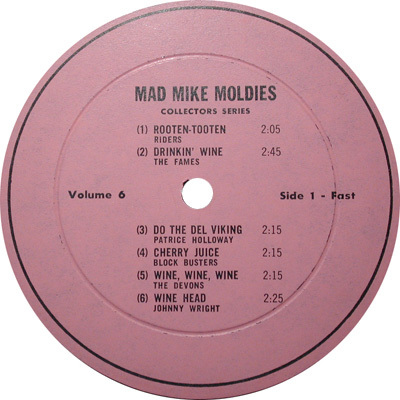 Volume 6 was never commercially released by NRM, this record was obtained by the author directly from Mad Mike. 100-200 (???) reportedly pressed. One copy pressed on colored vinyl has surfaced in 2017- View the blue wax LP here! shows MM-VOL-6-A, MM-VOL-6-B. 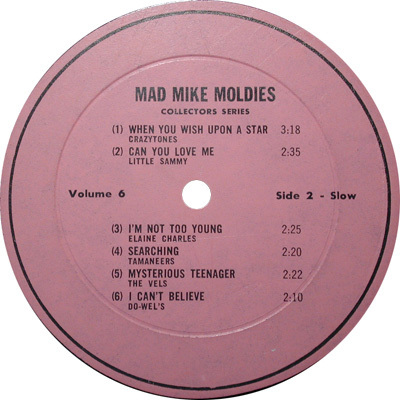 Note that the National Record Mart logo has been removed and "Mad Mike Moldies"